After a couple of weeks of cold and sunny weather, yesterday and today the rains were back. This morning, the fog was back too. Wiarton Willy was right on the money this year. Because it’s been too cold for spring flowers I’ve been shooting some city stuff. I’m using two very different cameras so shooting keeps me on my toes. Need to remember what all the buttons are for. Cameras are only smart if you know where all the “stupid” buttons hide. This will be my last fog pic I hope, for quite a while. Next week some city stuff; close ups of old graffiti or ‘second generation’ art! 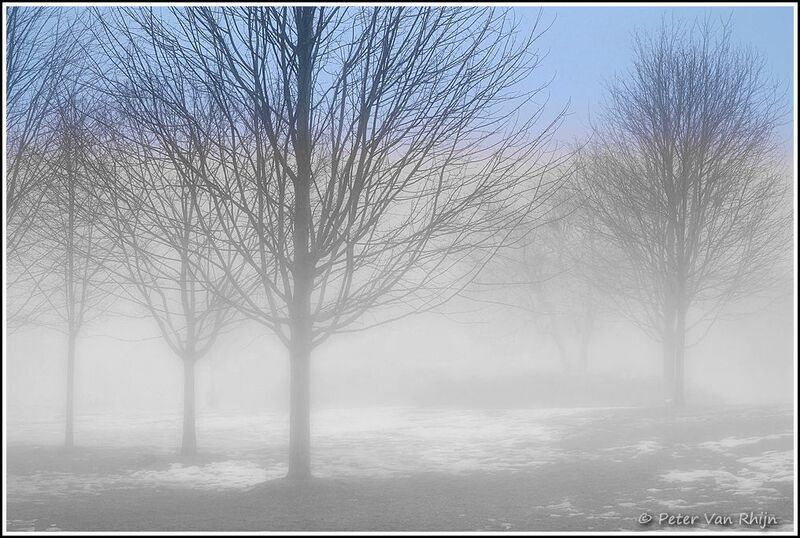 Here is some fog with the ‘promise of spring’.